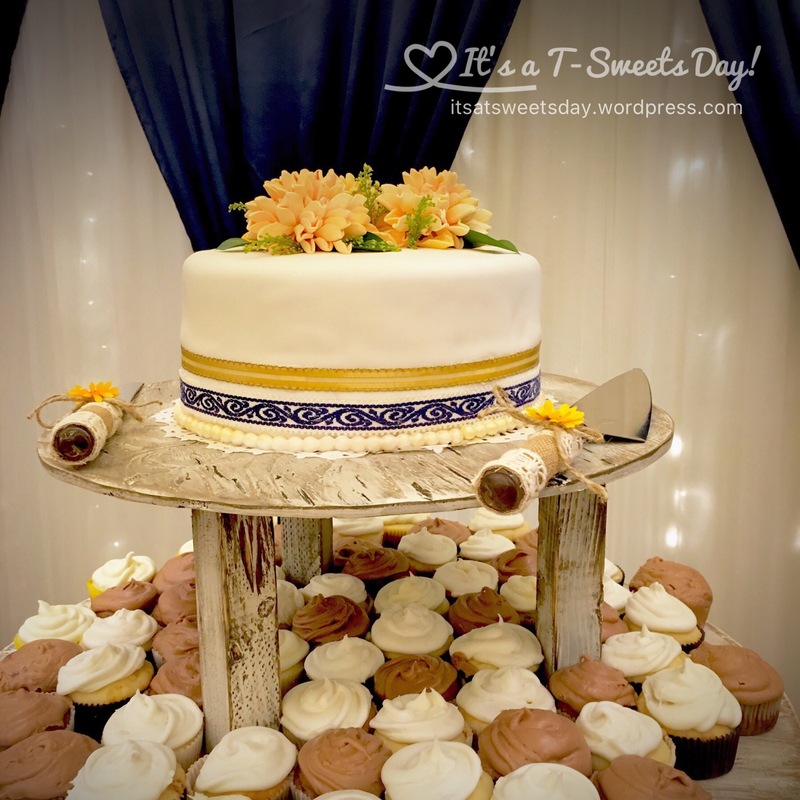 Karina’s Wedding Cake – It's a T-Sweets day! 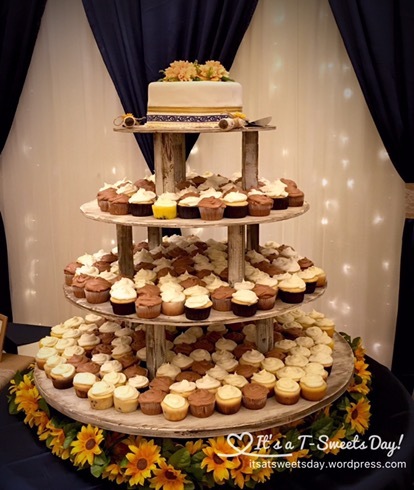 Published on July 8, 2016 July 10, 2016 by Tracy @ It's a T-Sweets Day! 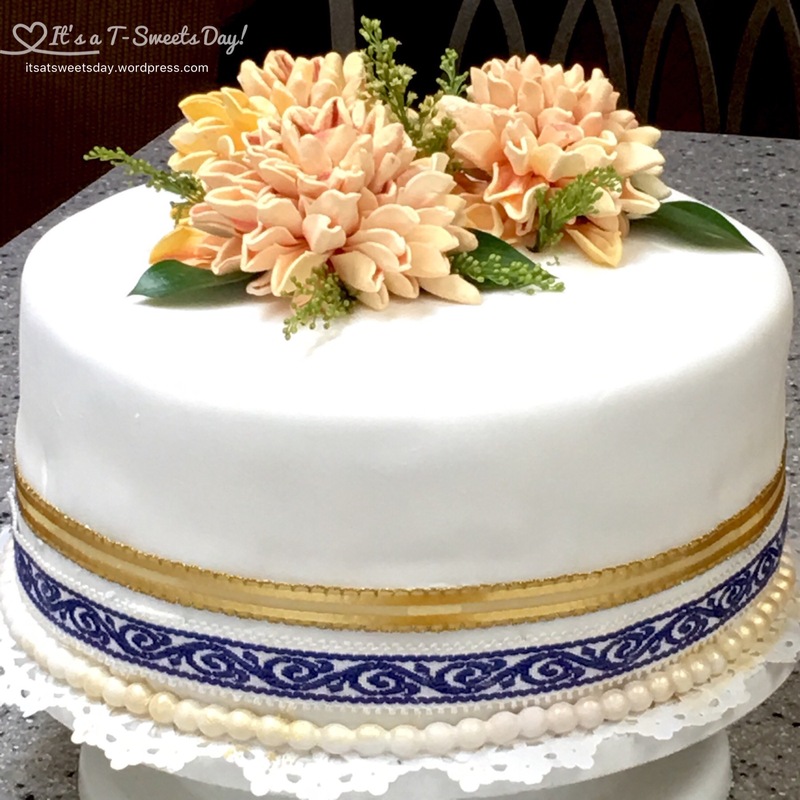 Because this cake was so simple, I decided to to add some gum paste dahlia flowers on top to add a little elegance to the display. I really thought that I would just knock them out rather quickly, but the leaves were so so so fragile and were constantly breaking as they were drying. It took me most of the day yesterday to make these three and one more that completely broke apart into little leaves! I am glad these ones stayed together. 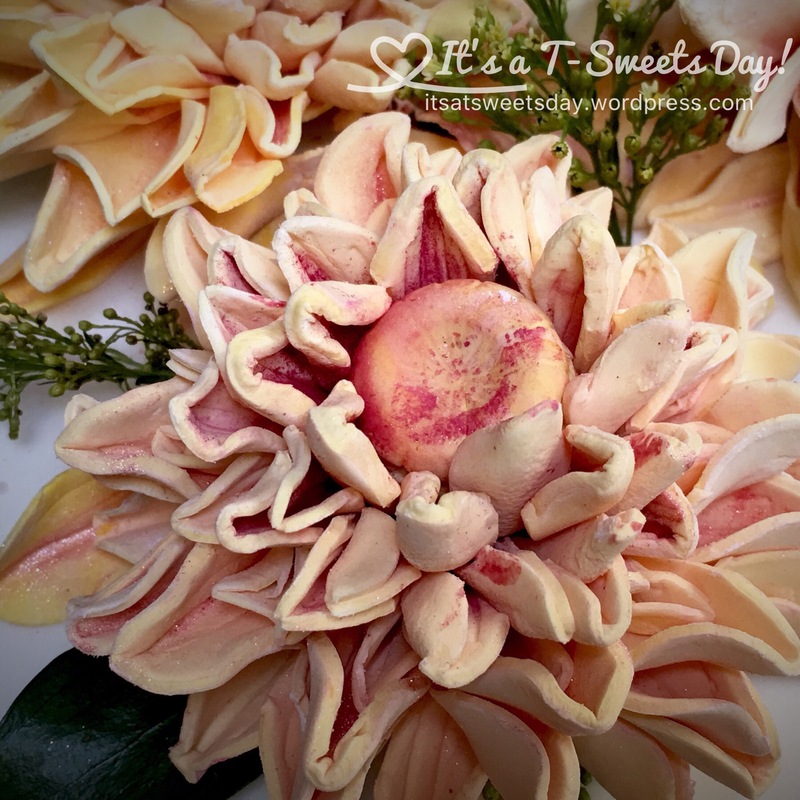 Only a few petals fell off that I gently glued back in with icing. It was worth it though. They are BEAUTIFUL ! She wanted stripes along the side of the cake. I am not the best at perfectly straight piping or painting. The lines inevitably shake or lean low and then the whole cake looks like it is leaning. So I have learned from my mistakes and shortcomings and used ribbon for the stripes. I am glad I did because they ended up straight and even. 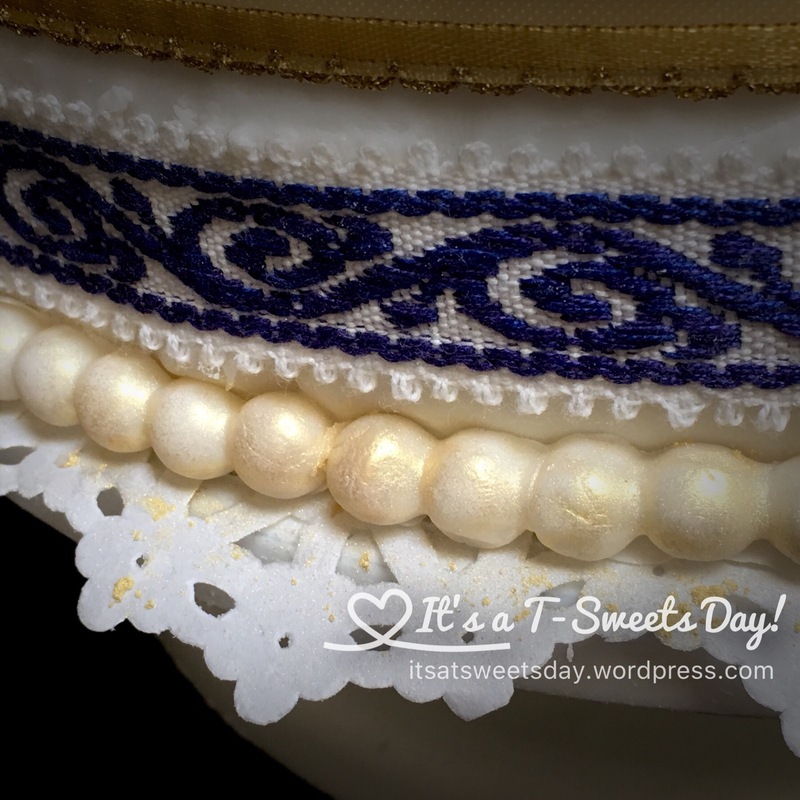 I made some gum paste pearls for the bottom border and painted them with gold luster dust. So very very pretty! The inside is a lemon cake with a lemon vanilla buttercream filling. I told you it was simple. Here it is at the reception. It is absolutely beautiful on the cupcake stand! The dahlias are spectacular! What a talent! This cake is incredible!! 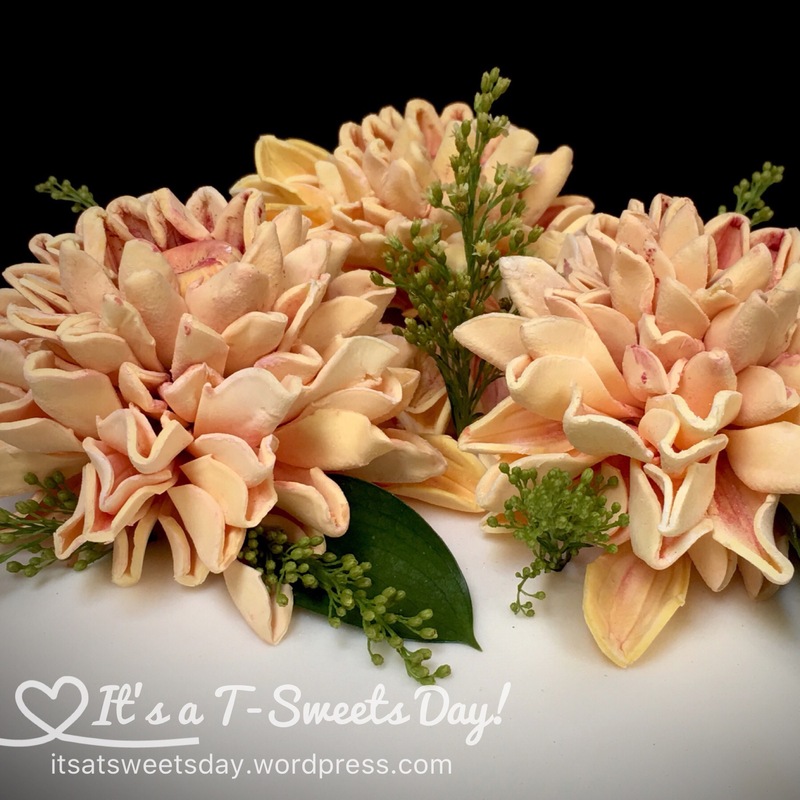 I love making cakes– but would never in a million years be able to make those flowers! Karina is blessed to have a friend like you!! What a fun post! Your cake was so spectacular! And it tasted so good Tracy! It went so well with all the decorations and the flowers on top were so wonderful. Thank you so much! Shout out to you!